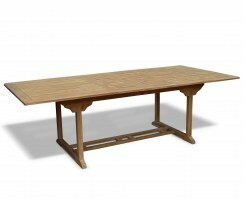 This Shelley 5ft teak gateleg drop-leaf table is ideal for entertaining your family or groups of friends. 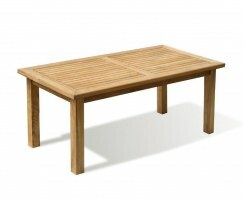 Stylish, practical and robust, this rectangular folding dining table will comfortably seat six people, so there’s always room for unexpected guests and extra food. This 5ft teak gateleg drop-leaf table has been beautifully handcrafted from the finest A-grade teak and is sanded to a smooth finish for long life and great looks. 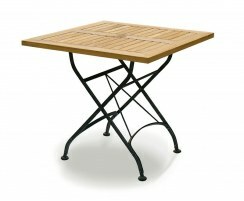 This gateleg folding table can remain outdoors all year long no matter the weather, whilst requiring only minimal maintenance. What’s more, it folds for easy, convenient storage, so you have the option of reclaiming your space when you need to. 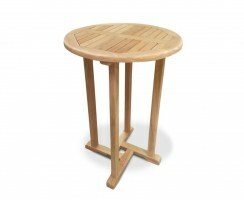 This drop-leaf table has been pre-drilled to permit the use of a parasol and is supplied with a flush-fitting teak parasol plug if not required. 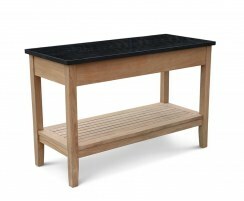 This folding drop-leaf table is finished with a beautiful chamfered edge for your comfort and radial-edged slats to help it dry off after the rain. 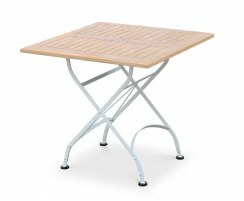 This folding garden dining table will be delivered fully assembled for your immediate enjoyment. 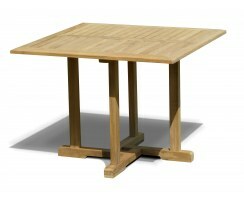 This 5ft teak gateleg drop-leaf table can be paired with any of our dining chairs (available separately) to create a stunning hub for alfresco dining and entertainment. 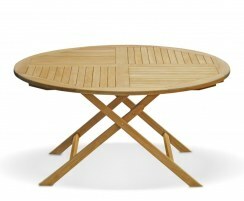 Don’t forget cushions and a parasol and base (available separately) for a truly luxurious dining experience.